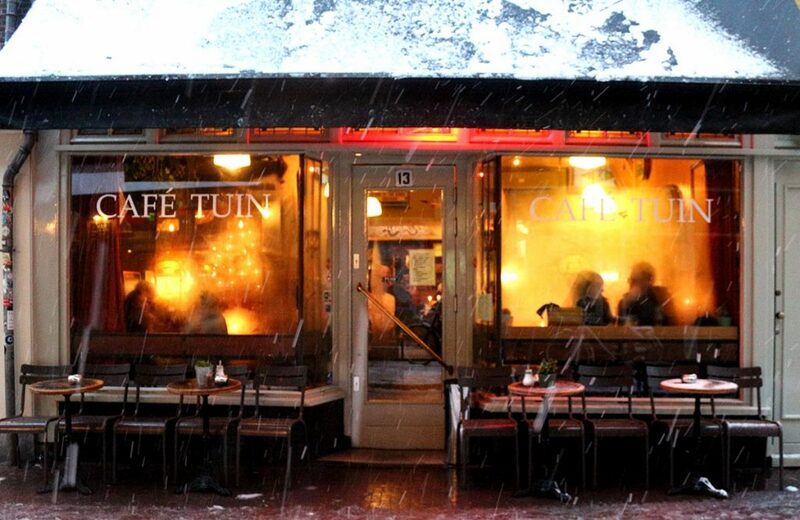 When it is rainy, icy or blustery out there is nothing better than sipping a drink while sitting in a cozy bruincafe in Amsterdam with friends. Here are a few of our favorite hideouts. 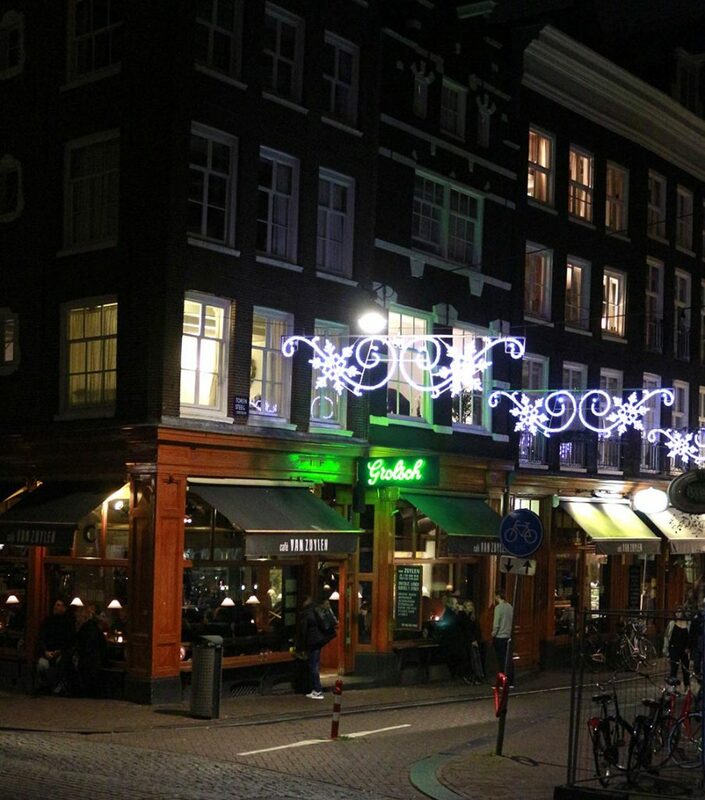 A sleeping cat, flickering candles and a comfortable relaxed atmosphere makes many Amsterdam cafes super gezellig. And a terrace can be cozy too, just add wild plants and old but comfortable seating. 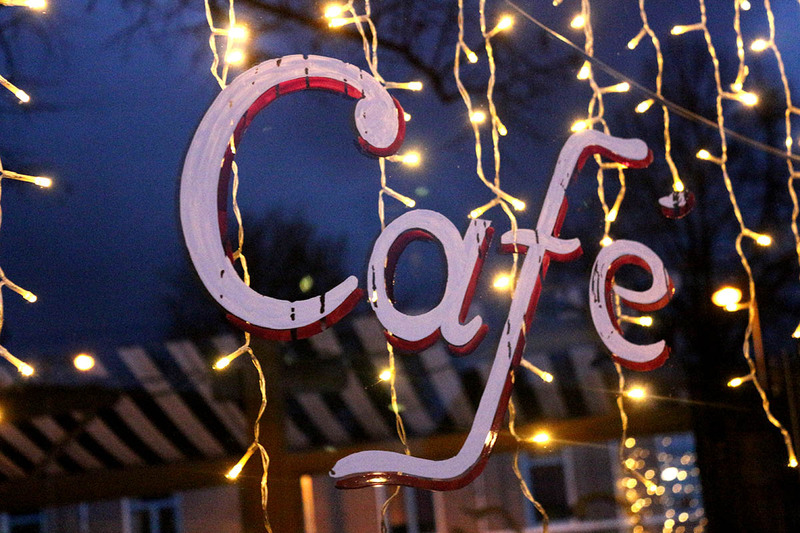 Come check out some of our favorite cozy cafes. 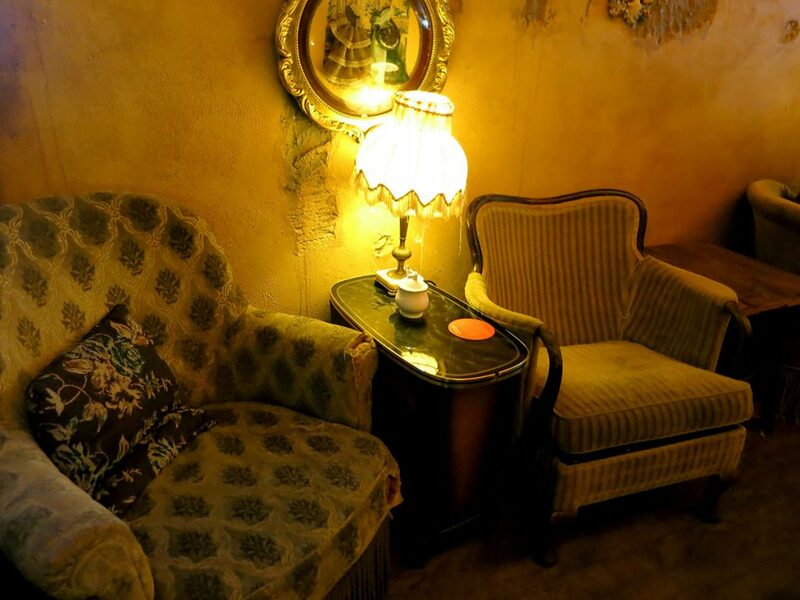 A friendly bar on one of the nicest corners in the Jordaan, Cafe Tabac is a cozy respite from the cold weather outside. Serving up the usual beers and wines, Tabac also has a yummy food menu including spicy curries that will warm up your tummy. Known for their awesome nachos, Harlem has a great vibe in the summer or winter. 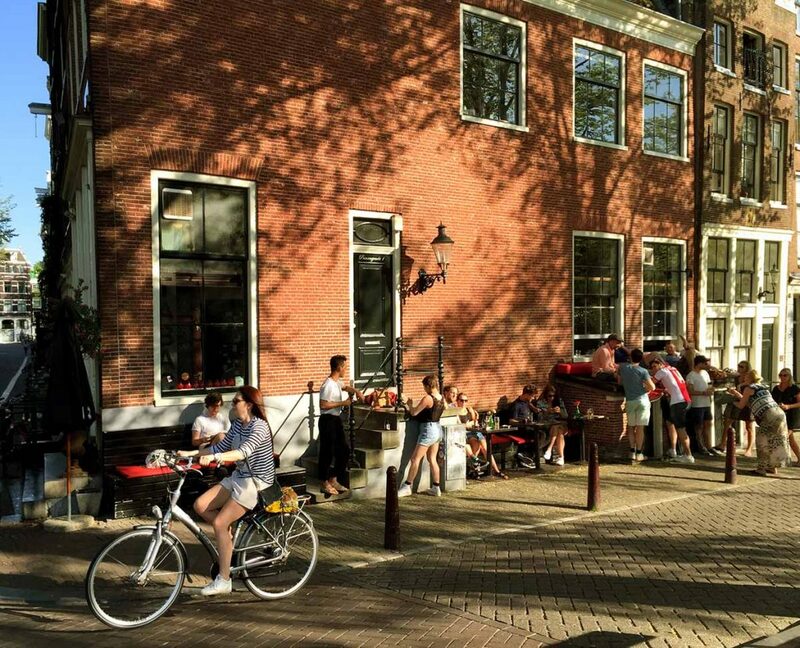 Squeeze inside and sip a beer while watching bicycles go by on Haarlemmerstraat. 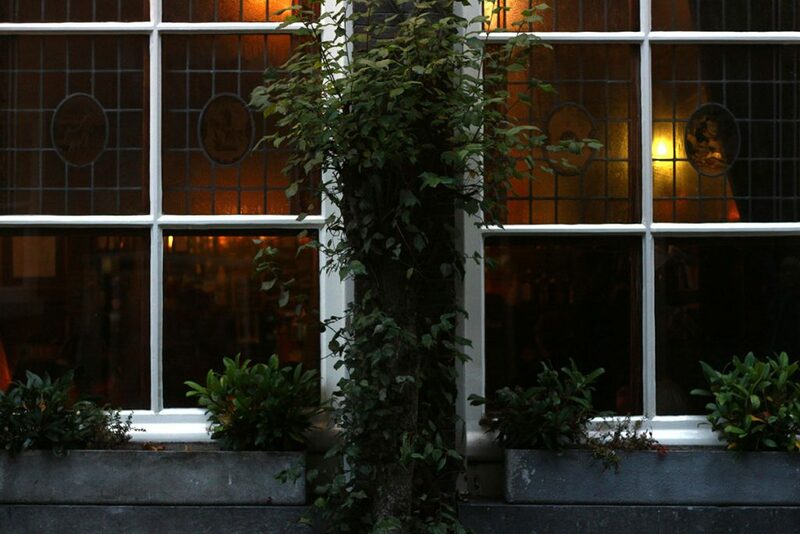 The Haarlemmerbuurt is one of the coziest in town, so be sure to check out the many shops and restaurants in the area. 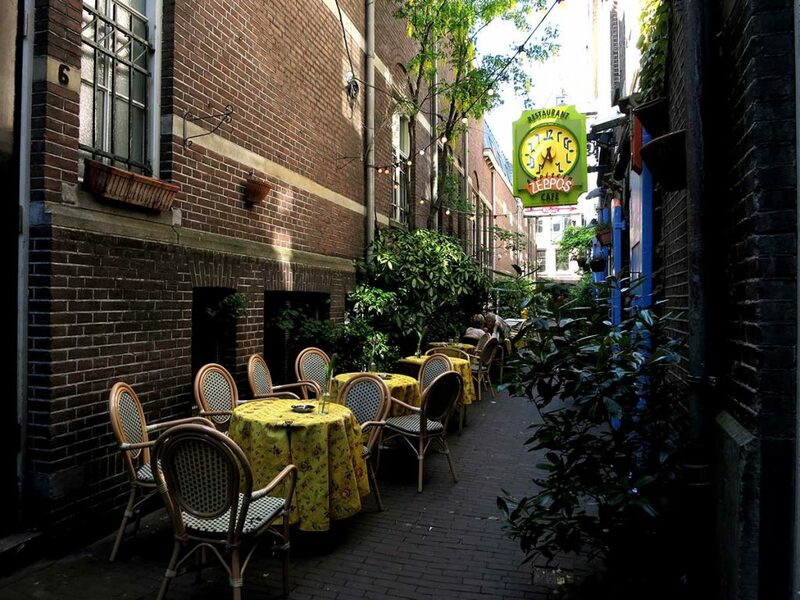 Hidden away in a tiny alley in the heart of the city, Zeppos is a great place to come for dinner or drinks. To get there you’ll walk through a tunnel passageway called Gebed Zonder End or “prayer without end”. Zeppos often has live music too. 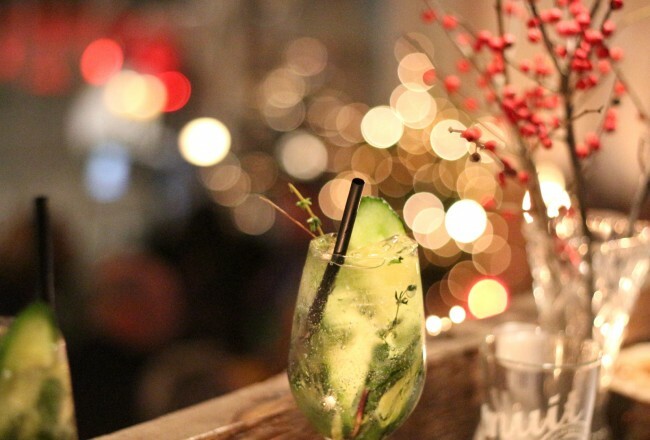 Any night of the week is a good night at Cafe de Tuin in de Jordaan. An excellent beer selection and classic bruincafe ambiance makes this bar a favorite. Try the Floreffe on tap, a tasty Belgian that is not too sweet, or go for a local brew. This is a great spot to stop before or after a delicious pizza at La Perla. Cafe Brecht is a wonderful spot to escape the cold weather outside. Kick back on their floral sofas and play board games with a few friends. Homemade gluhwine and tasty piadine will chase the chill away. 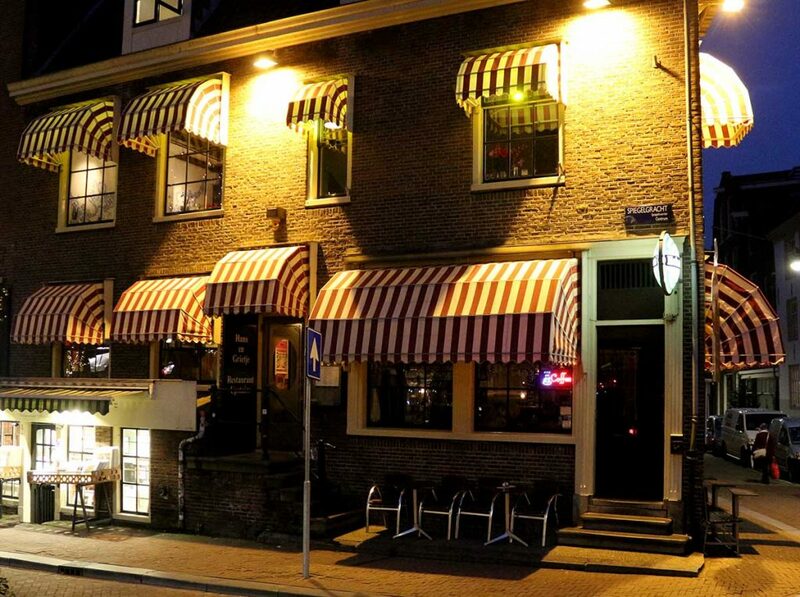 This small bruincafe is nested in the heart of De Wallen. As it was located near the harbor it was also an inn in the 17th century. The story goes that sailors would try to pay their bills at the inn by trading their pet monkeys. You’ll notice there are lots of monkey icons around this bar. Cafe In ‘t Aepjen is housed in one of Amsterdam’s oldest structures, built in 1519. The upstairs window seats at Sluyswacht have one of the best views in the city. On a nice day their terrace is a great place to sit and watch traffic go by but in wintertime get cozy with a Belgian beer or a hot cocoa and look out over the Oudeschans. Stop by Rembrandthuis Museum across the street for a bit of culture and history while you are at it. One of the coziest and friendliest neighborhood bars around. L’Affiche sits on Da Costakade in Oud West and has a small charming terrace and an even smaller space inside that is sweet and comfortable. 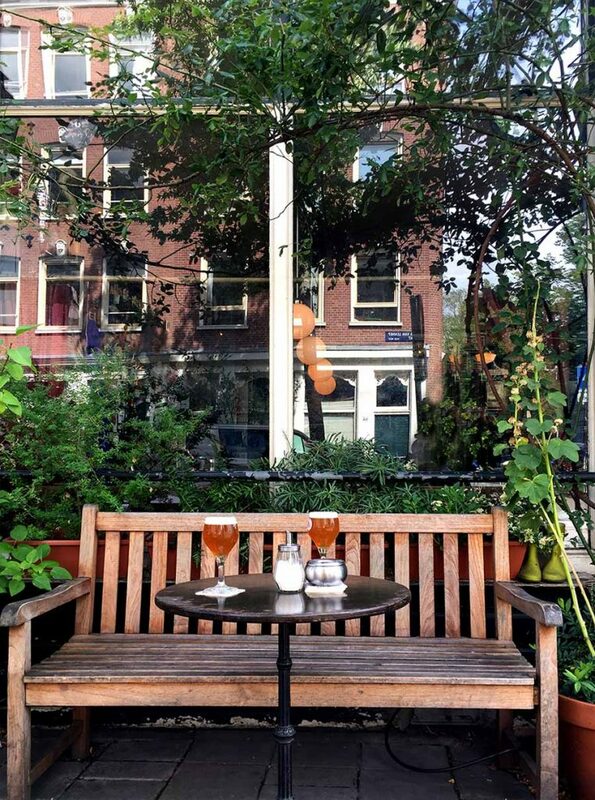 Stop by for a beer and a tosti, have a chat with a neighbor and watch the hours pass by in the blink of an eye. The tiny terrace at Cafe ‘t Smalle is probably one of the most photographed in Amsterdam. It’s adorable. But the cafe is also warm and welcoming inside. You’d imagine that any house where Hansel and Gretel hang out is full of charm. 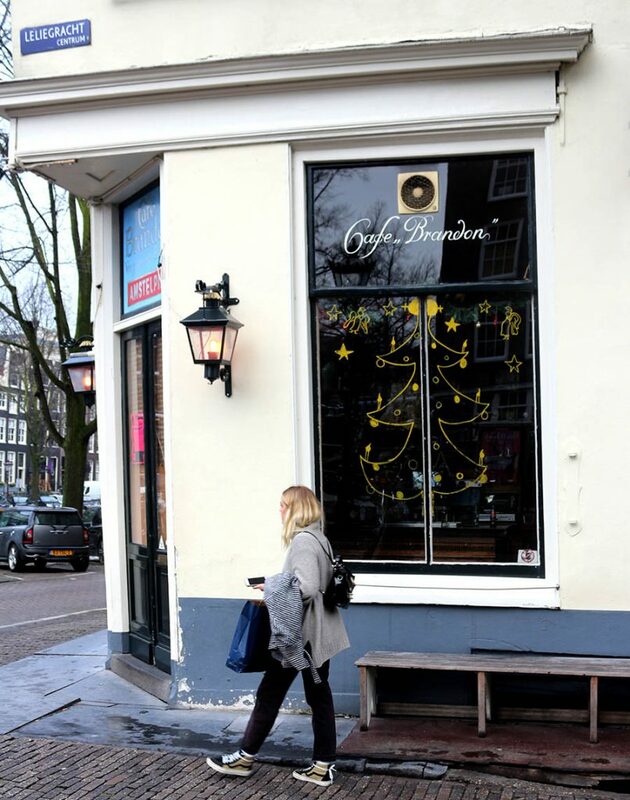 This small cafe is on one of the prettiest streets in Amsterdam, and conveniently close to Museumplein, and is just steps away from the Rijksmuseum. I like it because it has a classic fireplace! What’s cozier than that? 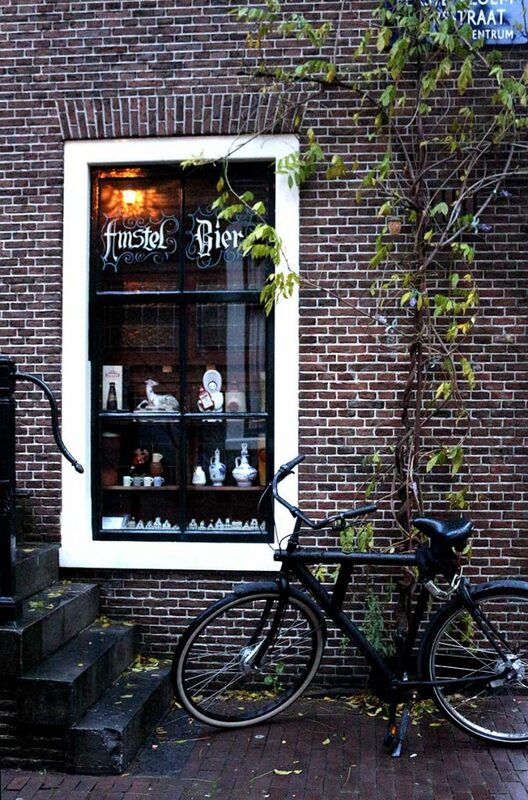 Check out our list of Amsterdam cafes with fireplaces! 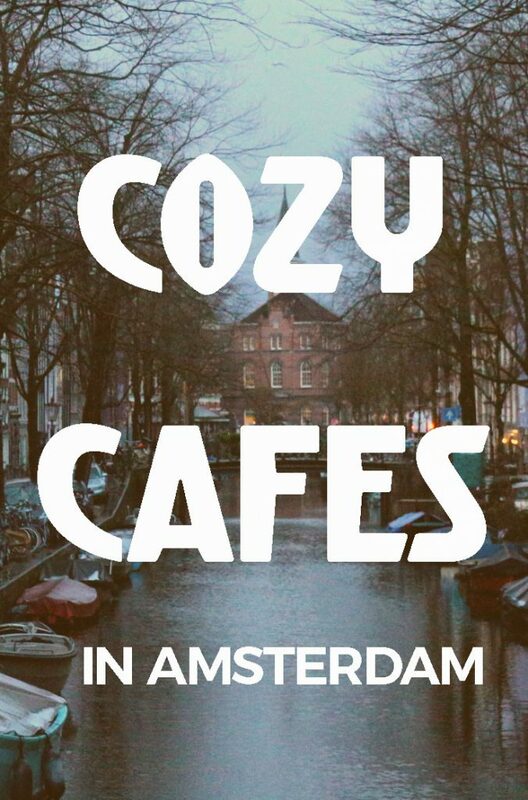 There are 4 Gollem locations in Amsterdam and all of them are cozy. The tiny original location in the city center is probably the coziest, but we also like the friendly relaxed atmosphere of the one in de Pijp. Come here to enjoy a wide range of Belgian beers. And if it is craft beer you are after, be sure to visit some of our other favorite beer bars and breweries in Amsterdam. Cafe Chris is a classic bruincafe in the Jordaan and full of charm. 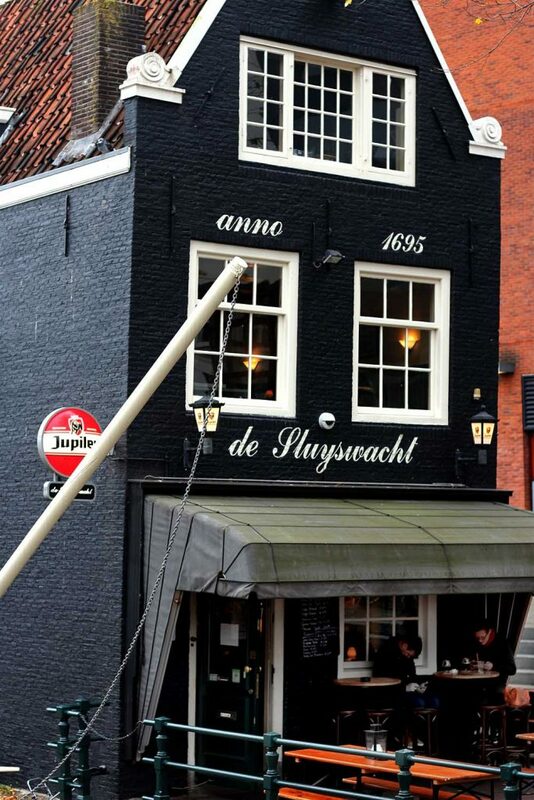 Some say it is the oldest bar in Amsterdam. You’ll find neighborhood locals as well as the random visitor in this small cozy cafe any evening of the week. Entertain yourself at the pool table on a long winter night. 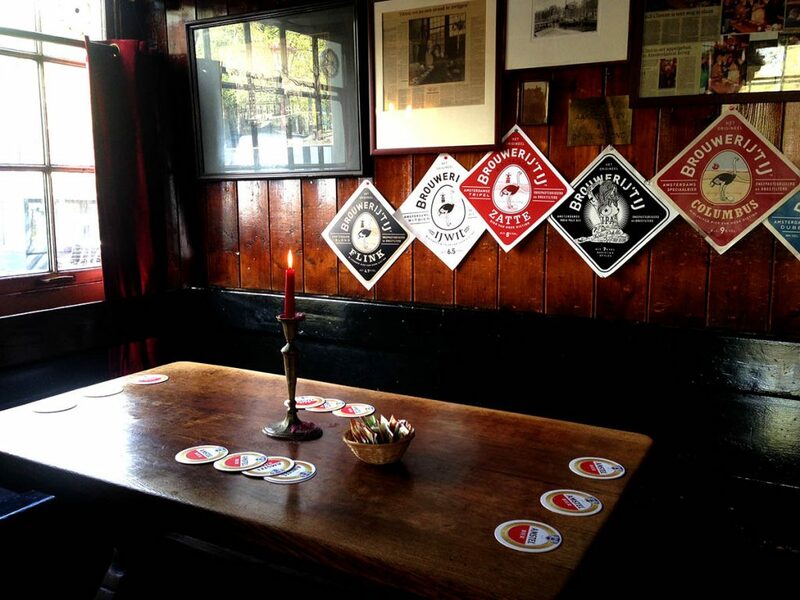 A typical bar in the Jordaan, Thijssen is a nice place to hang out whether it is sunny or pouring rain. There are many cozy corners to have a chat with a friend, or belly up to the bar. I love the short bar stools at the left side, perfect for my stumpy legs. A small bruincafe in the heart of the Red Light District, Het Elfde Gebod is part local hangout and part Belgian beer lovers heaven. The staff is super friendly and they have the beer selection written on the chalkboard. They also serve hearty food at good prices. This is a great place to come for the first or final beers of the evening and ponder the question “what is the 11th commandment?” Oh and they have pinball. The large windows at this small bar provide a view out onto Utrechtsestraat where you can watch people walking by with their umbrellas while you stay warm and dry. A seat upstairs is the coziest. They have terrific sandwiches too. Don’t forget to check out the photo of the naked football team on the wall, a favorite of the ladies! 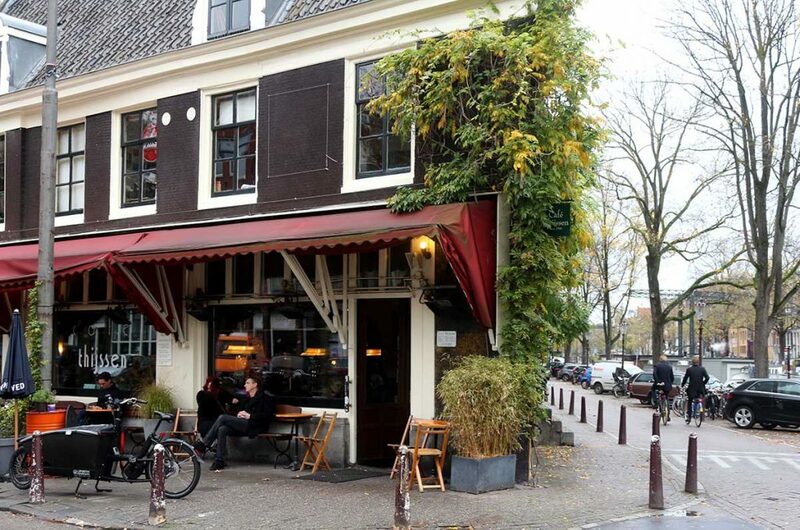 Another charming and historic cafe with great ambiance and lovely canal views in the Jordaan is Cafe Papeneiland. Stop by on a rainy day for some fresh appeltaart and warm koffie verkeerd, or come by in the evening for a few beers and gezelligheid. During the Saturday Noordermarkt or Monday Lapjesmarkt this cafe can get crowded, but that might make it even cozier. 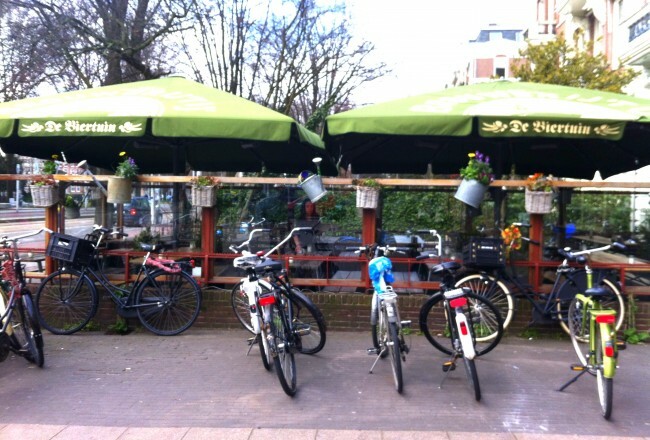 With a large terrace on the Singel canal bridge, Cafe Van Zuylen is a great cafe for a sunny day. But when it’s blustery outside the warm interior is a great place to sip a glass of wine and watch the bicycles go by. We once spent a fun afternoon here watching people slip and slide in the snow. Funny! Until we went outside and fell down too. Outside of Van Zuylen is one of my favorite hidden secrets of Amsterdam. Cafe Belgique is a tiny Belgian beer bar in a small alley in Amsterdam’s center near the shopping street. 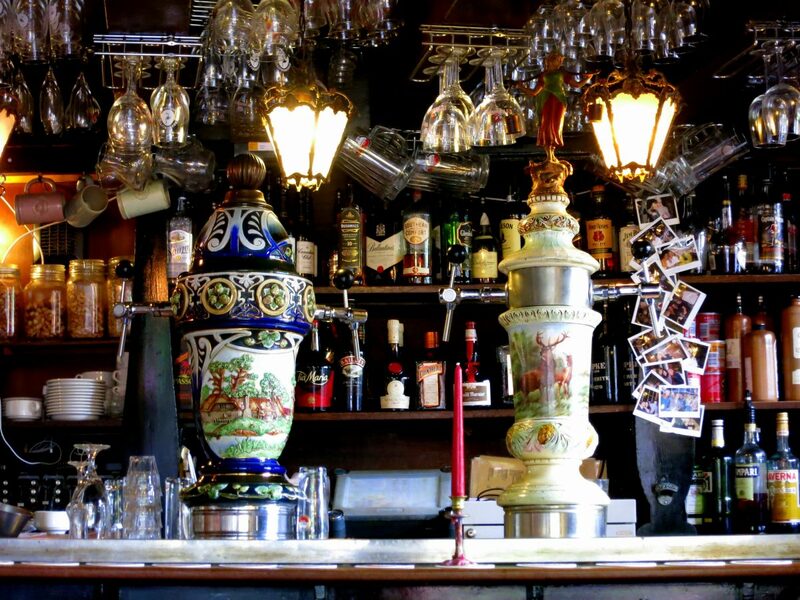 The atmospheric bar has flickering candles and a good selection of around 50 Belgian brews on tap and in bottle. It’s a popular place to stop after a day or shopping or sightseeing and is super cozy on a cold afternoon. 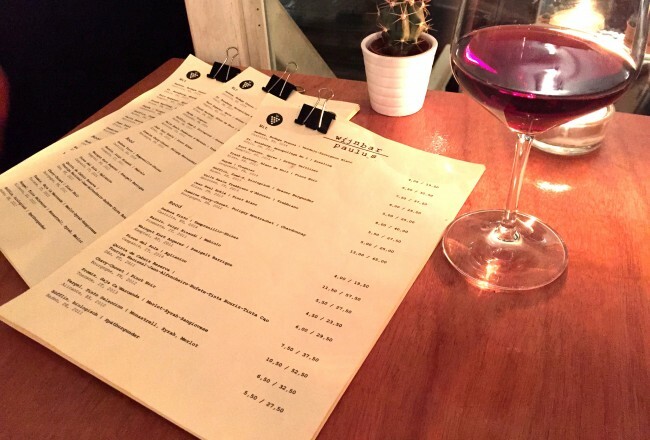 If you are in the mood for wine, one of the coziest spots is definitely Wijnbar diVino in the Jordaan. 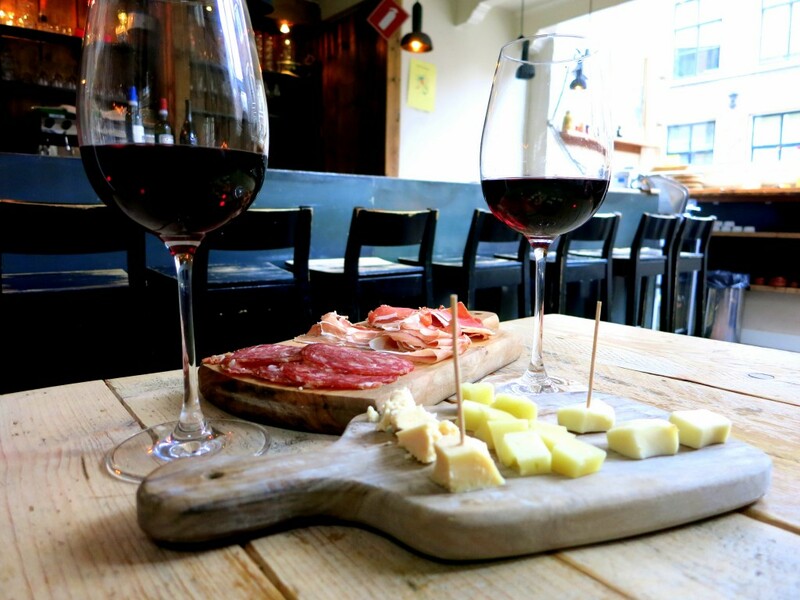 Go for just a few glasses and charcuterie or relax the whole evening with lovely Italian food that will warm you up while it’s cold outside. It’s a great cozy Amsterdam bar in the coziest Amsterdam neighborhood. This small corner bar can get crowded at borreltijd and on sunny afternoons, but to me it is just the classic Amsterdam bar. The street fills up with people standing and chatting beer in hand and inside there is a crazy push at the tiny bar. The views on this corner are just gorgeous. It’s a bar that manages to be cozy even when the weather is nice! ‘t Gasthuys is a typical Amsterdam “kroeg” right in the center of the city. When it is really cold out, a big cheeseburger is the perfect meal and ‘t Gasthuys makes a good one with fries on the side. Chase your meal with a seasonal Bock beer from the tap. Don’t forget to pet the cute kitty if you see him. A cozy Amsterdam bar isn’t complete without a purring cat. And be sure to capture the Instagrammable “Love Me” on the canal outside. 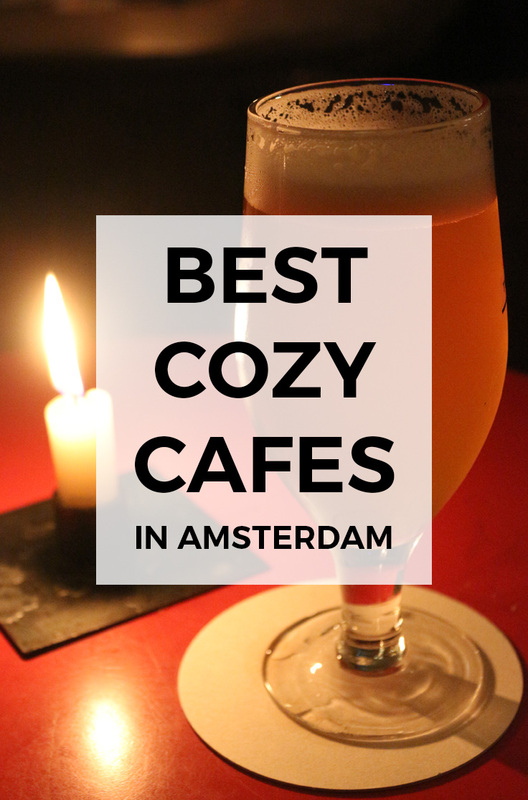 We hope you enjoyed this list of cozy Amsterdam bars. Be sure to also check out our favorite cafes with fireplaces, craft beer bars and rooftop lounges. Wintertime is a terrific season to be in Amsterdam. Be sure to check out the holiday lights and the Amsterdam Light Festival. Go ice skating at one of the local squares. Have some hot soup. Check our agenda too for information about what is on in town! 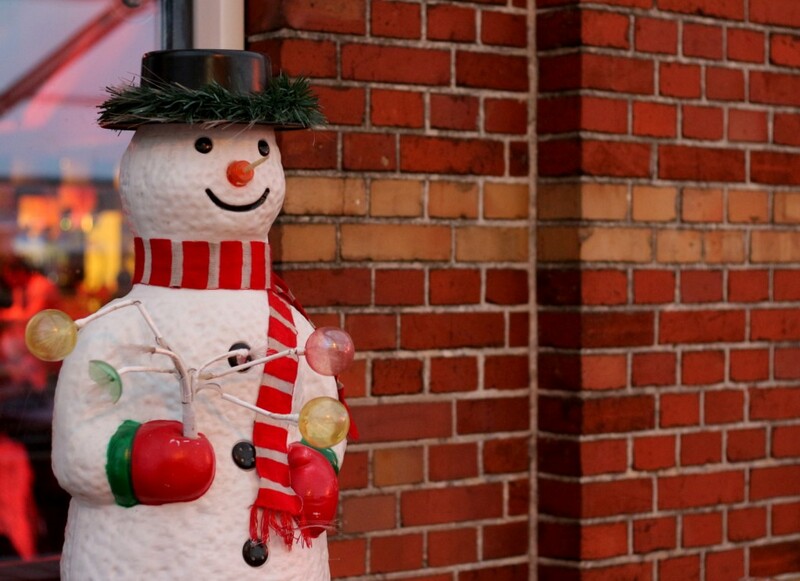 There are lots of special holiday markets and festivals. Curious about Amsterdam weather in wintertime? 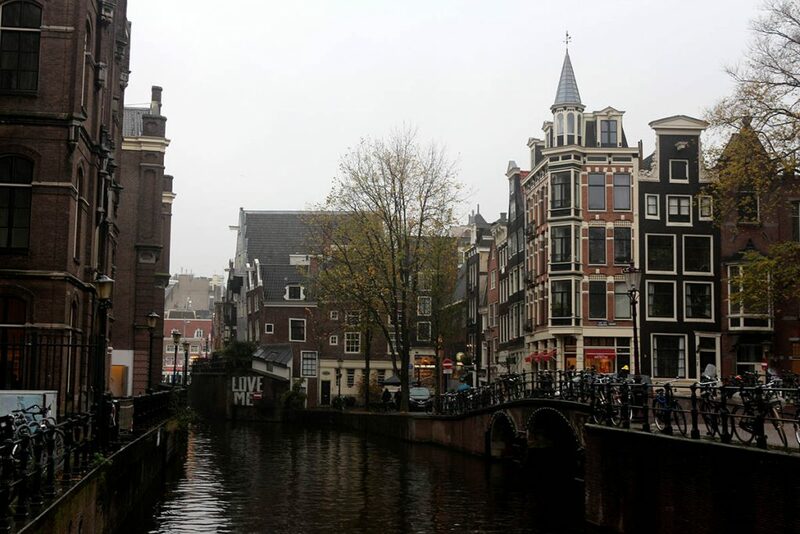 Amsterdam is wonderful all year round but some months are rainier and colder than others. Enjoy and stay warm!